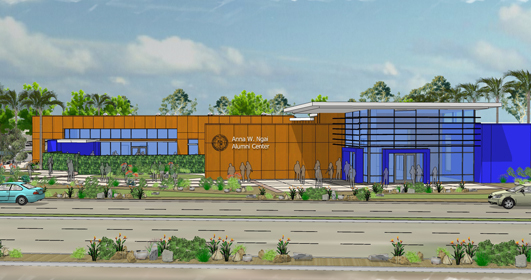 MMA Architects provided architectural services for the programming and conceptual design of the proposed "Zero Net Energy Building" ZNEB - the Alumni Center. MMA Architects provided architectural services for the programming and conceptual design of the proposed “Zero Net Energy Building” ZNEB - the Alumni Center.The Alumni Center is a place for the alumni to gather, reminisce and celebrate CSULB’s rich tradition and history of academic, artistic and athletic excellence. 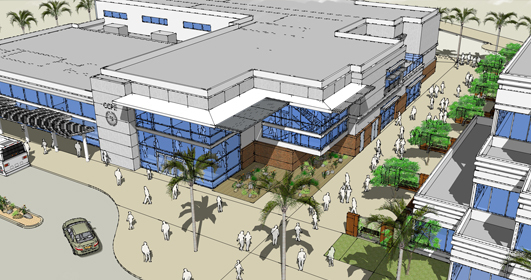 At the request of CSULB, the preliminary design addressed the logistics of integrating a ZNEB concept as part of the overall design. In addition, the client required the incorporation of design parameters and sustainable building system components leading to a Platinum Leed Certified facility.With the integration of the ZNEB components, the project presented an opportunity to demonstrate an exorbitant amount of energy efficiency, that hopefully, will promote environmental stewardship and influence other higher-education institutions and others throughout the country, to strive for a sustainable environment. Our firm along with the client's ZNEB design consultants worked together in developing the required ZNEB systems for the design providing the client a comparison/analysis and a preliminary construction cost analysis of a ZNEB facility as compared to a conventional facility. 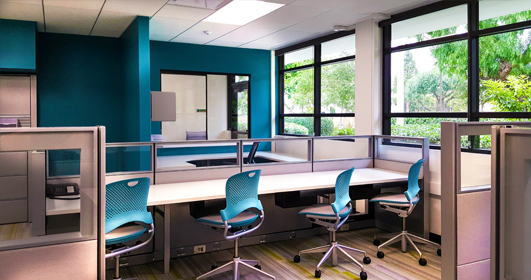 The focus of the Psychology Department's renovation (wet labs, instructional spaces, cold storage, chemical storage) is to support the Behavioral Research and Instruction in the Neurosciences (BRAIN) Initiative. 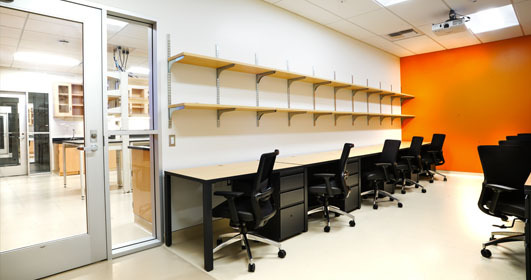 The focus of the Psychology Department’s renovation (wet labs, instructional spaces, cold storage, chemical storage) is to support the Behavioral Research and Instruction in the Neurosciences (BRAIN) Initiative. The initiative will foster cross disciplinary problem solving by creating an engaging learning environment that bridges research and instruction. The renovated "state-of-the-art" facilities will allow the University to provide students with highly valued degree that is competitive on a national level. In addition, it will position the University very competitively for exterior funding. In 2015, MMA Architects provided architectural services for the programming, conceptual design and cost estimating of the new CCPE Classroom building. 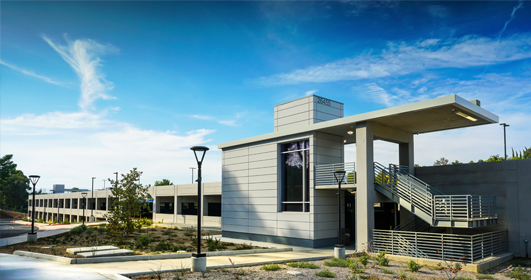 In 2015, MMA Architects provided architectural services for the programming, conceptual design and cost estimating of the new CCPE Classroom building. 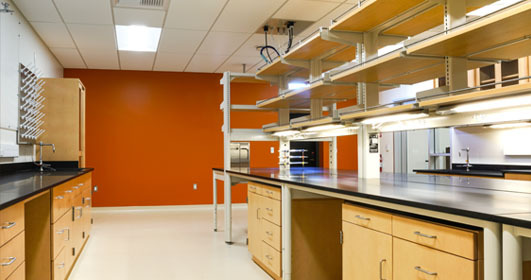 The University required a LEED Gold certification for the project and tasked the A/E team to design and integrate thesustainability components required to meet LEED Gold certification. The A/E team was comprised of the Civil, MEP, Structural, Technology and A/V consultants. The entire building interior was demolished to the shell in order to accommodate the programmatic requirements of the College of Liberal Arts Administration and Dean's Office. The entire building interior was demolished to the shell in order to accommodate the programmatic requirements of the College of Liberal Arts Administration and Dean’s Office. 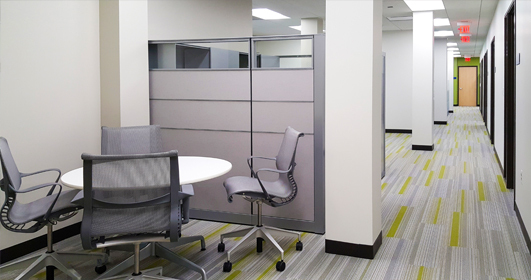 MMA Architects designed the new administrative spaces per the new program and provided interior design services as well. Our firm also assisted the owner selected F, F & E consultant with Access Compliance and the general layout of the furniture. 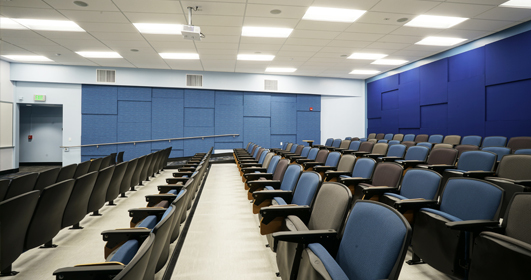 The Multimedia Center Lecture Hall was constructed in the 1960’s and required a full renovation of the space. 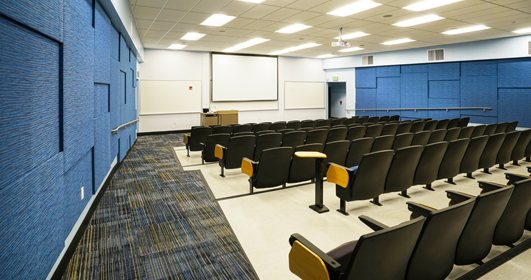 The Multimedia Center Lecture Hall was constructed in the 1960’s and required a full renovation of the space. 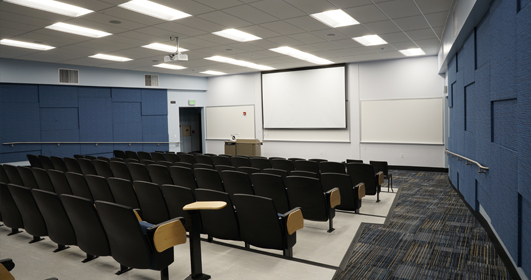 MMA Architects was secured by CSULB to redesign the space to accommodate accessibility requirements, replace the auditorium seating, lighting, architectural finishes, improve the acoustics of the space and to modernize the A/V and Technology for the lecture hall. The College of the Canyons offers a streamlined pathway for its students to acquire a bachelor’s degree through its very innovative and nationally recognized programs. The College of the Canyons offers a streamlined pathway for its students to acquire a bachelor's degree through its very innovative and nationally recognized programs. The college’s instituted programs attract many students and created a demand for increased parking.In the Fall of 2016, the District assembled a team of design consultants to address the campus-wide parking issues. 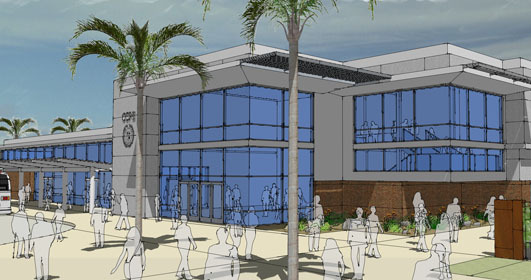 Santa Clarita Community College District contracted with MMA Architects to design the new parking structure, provide criteria design documents and coordination with the Parking Consultant, MEP, Civil and Landscape Architect. 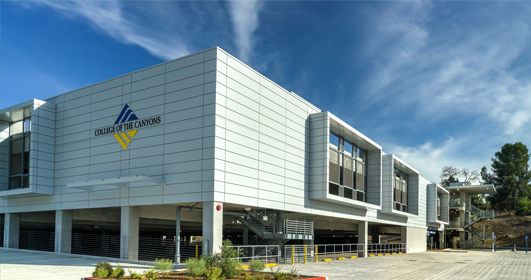 The new parking garage structure’s design preserved the existing sightline views from the adjacent residential community critical to the homeowners. 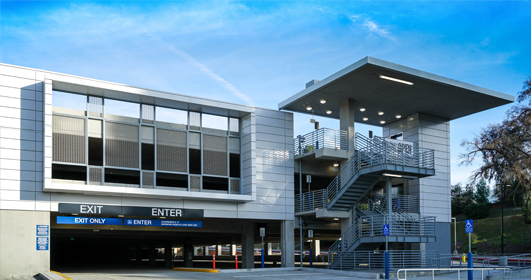 The exterior elevations fronting Valencia Blvd, were designed to emulate the campus architectural pattern language in order to minimize the utilitarian appearance of the parking garage. MMA Architects also provided design oversight to review the Design-Build Contractor’s design documents at 100% Design Development, 50% and 100% Construction Documents phases of the project. Site Work and 3 Story Building Renovation – Multiple Classrooms, Computer Labs, Offices, Adjunct Spaces, Conference Rooms, Welcome Center, Bookstore, Café Space, New Student Covered Patio and Major Sewer Retrofit.